Rosie Genova is sharing with people the cover to her new book A Dish Best Served Cold! 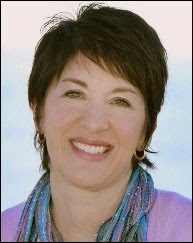 A Jersey girl born and bred, national bestselling author Rosie Genova left her heart at the shore, which serves as the setting for much of her work. The atmosphere of the Jersey shore is present in the details, whether it’s the smell of the sea, the sound of a Springsteen song, or the taste of Kohr’s custard from the boardwalk. And no summer is complete unless she has sand in her shoes. A bookworm from the time she could sound out words, Rosie spent many happy hours in her home town library where she hid behind the stacks reading the titles she was too young to check out. She earned two degrees in English from Rutgers University, where she discovered to her delight that reading Jane Austen was actually considered homework. Though she’s always considered herself a writer, she didn’t pen her first novel until ten years ago, and she hasn’t stopped since. 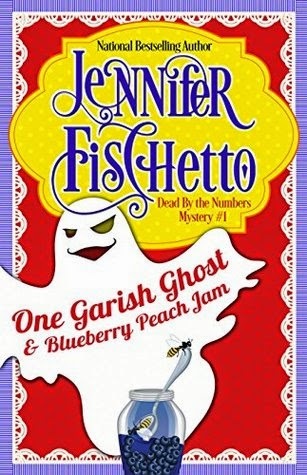 Her series, the Italian Kitchen Mysteries, is informed by her deep appreciation for good food, her pride in her heritage, and her love of classic mysteries, from Nancy Drew to Miss Marple. Her debut novel, Murder and Marinara, was named a Best Cozy of 2013 by Suspense Magazine and was a finalist for a 2014 Daphne Du Maurier Award. An English teacher by day and novelist by night, Rosie also writes women’s fiction as Rosemary DiBattista. She still lives in her home state with her husband and her youngest son. Özgür is poor, hungry, and on the verge of a mental breakdown, with only one weapon against Rio: to write the city that has robbed her of everything. Reading the bits and pieces of Özgür's unfinished eponymous novel, with its autobiographical protagonist named Ö, Özgür's story begins to emerge. Meanwhile, the narrator limns a single day of Özgür's life, which is in fact her last. As Özgür follows Ö through the shanty towns, Condomble rituals, and the violence and sexuality of the streets to her own death, the narrator searches for a way to make peace with life, a route to catharsis. The two concentric novels, the borderline between the two Rio's — Özgür's Rio as a metaphor for death and Rio as life — begin to blur. 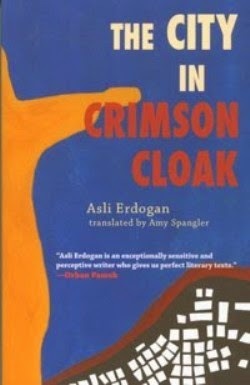 Asli Erdogan’s brilliantly evocative, experimental second novel was a major hit in Turkey and Europe. Now available in translation, the book does for Rio what Joyce did for Dublin. As you can see, Rio is the main character of the book. In addition, there's Özgür, who's run away to Rio to try and write her book while she's trying to put together money for food and cigarettes. She doesn't like the city's asphyxiating heat, how it makes her shirt cling onto her chest, how her breath gets stuck to her throat. She doesn't like the sound of rifles that has become the regular soundtrack of her days. She doesn't like that she has to protect her money and her life with every step. Even though this may be the case, Özgür is also caught up in this crazy city's magic... We see a darker, suffocating and dangerous Rio in The City in Crimson Cloak; not the one we're used to seeing on TV with its colorful dances. In the fall of 1978, on a 640-acre family ranch on Goat Mountain in Northern California, an eleven-year-old boy joins his grandfather, his father, and his father’s best friend on the family’s annual deer hunt. Every fall they return to this dry, yellowed landscape dotted with oak, buck brush, and the occasional stand of pine trees. Goat Mountain is what this family owns and where they belong. It is where their history is kept, memories and stories that will be shared again by these men. And for the first time, the boy’s story will be added if he can find a buck. Itching to shoot, he is ready. When the men arrive at the gate to their land, the father discovers a poacher and sights him through the scope of his gun. He offers his son a look-a simple act that will explode in tragedy, transforming these men and this family, forcing them to question themselves and everything they thought they knew. In prose devastating and beautiful in its precision, David Vann creates a haunting and provocative novel that explores our most primal urges and beliefs, the bonds of blood and religion that define and secure us, and the consequences of our actions-what we owe for what we’ve done. 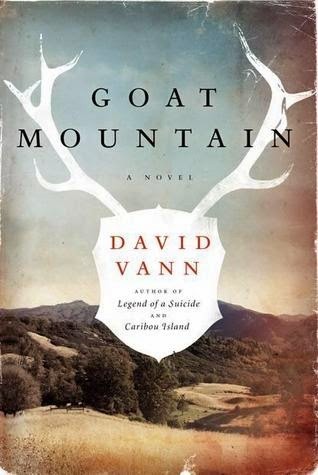 When I read Dirt last year, one thought popped up in my head, and I found myself thinking the same thing while I was reading Goat Mountain: "If David Vann hadn't chosen writing, he might have been a serial killer or something." Of course, I don't know the guy. What I do know is he has a step grandmother who first shot her husband and then herself and a father who committed suicide. As far as I can tell from the two books of his that I've read, he's been through more trauma than is regular. I feel the blood boiling in my veins while I read Vann's work. Even though I'm safely tucked in bed with the book in my hand, my whole body hurts. As if that's not enough, my heart and brain hurt, too. On the one hand, I'm in awe of the guy... I go back and forth through that threshold that stands between pleasure and pain is how I can summarize reading David Vann. Goat Mountain is the story of a boy, who's also the narrator, his father, grandfather and his father's friend Tom, who's the only character a name is given for. It starts off with them going deer hunting. The boy knows he has to hunt a deer to show he deserves to hold a gun, to prove he's become a man. Instead, he ends up shooting a poacher. Things start to go downhill very fast as the crowd of men try to decide what to do with the body. I must say that the boy, the narrator, is quite the psycho, who feels the same thing he feels while looking at a dead deer when he sees the lifeless body of a man. This one event is Vann's starting point of making us question the bigger things in life. He does this in a way that sends strong chills through your entire body. His main question is, WHY DO WE HUNT? Is killing something people do because they have to or is it an instinct they can't rid themselves of? Is liking the kill a psychopathic emotion or is it instinctive and normal? Why is shooting animals okay while shooting another person isn't? Why do we live? Why do we die? Why does killing exist at all? What is it all about?! This book is definitely not for those with a faint heart. Kelly pulled into the harbor parking lot next to the pier and noticed that Amber’s car wasn’t in its usual place and there was no sign of her. She was usually standing at the door of Kelly’s Koffee Shop, waiting for Kelly to open up. Wonder what that’s all about, she thought. The local residents of Cedar Bay come to Kelly’s Koffee Shop for breakfast, lunch, and lots of gossip. Kelly serves it all up as she works to solve the murder of the high school Homecoming Queen. The townspeople can’t believe what has happened in their sleepy little Oregon seaside town. She identifies five prime suspects, but which one did it? Follow Kelly, her boxer dog, Rebel, and her boyfriend, Mike, the county sheriff, as they try to determine who the killer is in a murder that’s shocked the town. 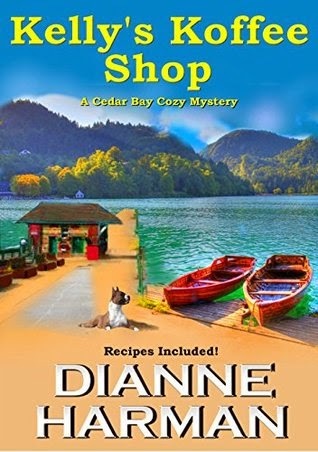 Kelly’s Coffee Shop is a mouth-watering cozy mystery with recipes! This book follows Kelly whose a widower having lost her husband when he was in his thirties, she has raised two kids and is running her Koffee shop in town while dating Mike the local sheriff. Not long into this book a co-worker of Kelly's winds up missing and turns up at the bottom of the bay. 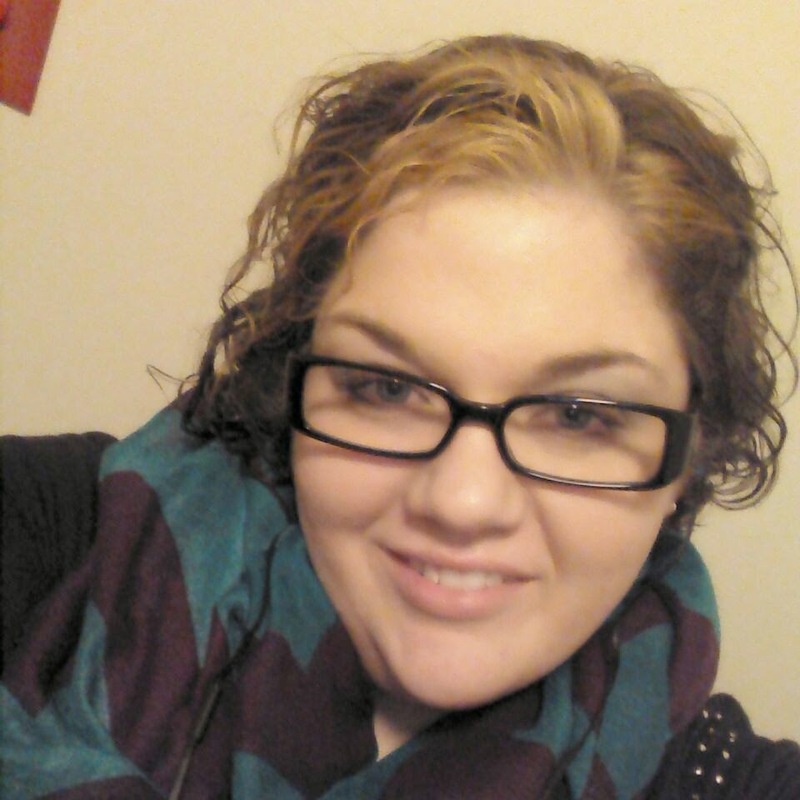 Kelly and many other residents in town are distraught over the death of a girl loved by many in town. Kelly and Mike are determined to find out what happened to Amber Cook, was it her boyfriend Brandon Black were they having relationship issues? Or was it the mysterious Doc in town or the coach at the high school? Or could it have been her enemy Madison? With no shortage of suspects Kelly and her trusty sidekick dog Rebel are hot on the trail trying to figure out who killed Amber. While I enjoyed the story I found somethings that I haven't read in a cozy mystery yet, Mike being the cop divulging alot of information to Kelly that I don't normally see in a cozy mystery. That struck me as odd not in a bad way just never saw something like that. 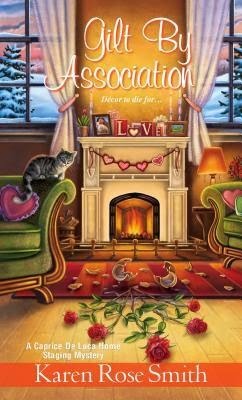 This is a great book for cozy lovers who will fall in love with the town of Cedar Bay and will find themselves eager to see what comes next with this group of characters. 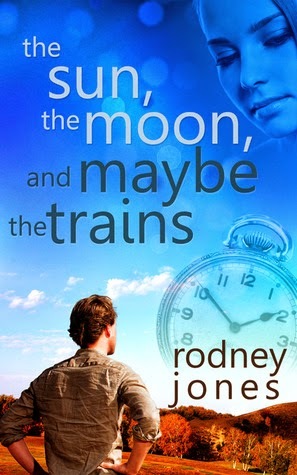 Sequel to The Sun, the Moon, and Maybe the TrainsWith her senior year looming, Tess McKinnon has two goals: hanging out with her best friend, Liz, and avoiding her judgmental, alcoholic mother. Then yummy John Bartley arrives—to tell Mrs. McKinnon that her daughter is dead. Distinctly still alive, Tess is baffled by John’s tales of 1800s time travel, rewritten lives, and love. She knows she’s never seen him before, but her feelings refuse to be denied. When Tess and John discover an aged newspaper clipping that indicates John’s uncle was hanged for Tess’s murder in 1875, John decides to return to his time to save his uncle’s life, but when Tess checks the article after John’s departure, she is horrified to discover that John has been hanged instead. Armed with determination and modern ingenuity, Tess must abandon her past and risk her future for a chance to catch her own killer and find her first love for the second time. This book picked up where the previous book left off with John face to face with Tess, this one was written in two viewpoints John's and Tess's in this one John has to explain everthing that happened to Tess in 1875 and after finding out his uncle is in trouble decides to go back. Tess keeps an eye on what is happening in 1875 but can't settle with what is happening and decides after doing a few things to settle some scores in 1875, but she knows when she goes she won't return. This book was great with realizing that living in 2009 won't work with Tess and John they go about fixing the damage that was created in the first book. Tess realizes that the only way they can work is if Tess goes to 1875 and stays there. 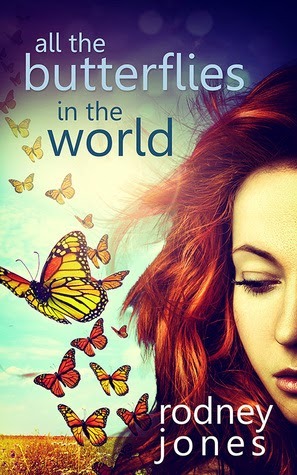 It's a great story for those who love time travel stories or movies like The Butterfly Effect. It pulls you in and you find you can't put it down until you know how it plays out I enjoyed it especially the ending!! 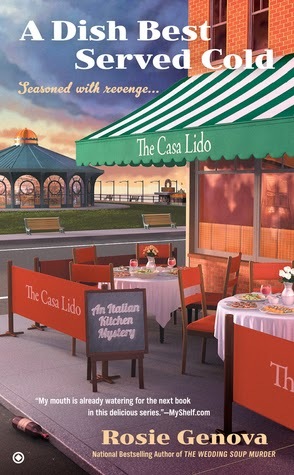 Quiet Kismet, Pennsylvania, may look like any other small town, but as a home stager, Caprice De Luca can see behind closed doors--and it seems someone has designs on murder. . .Life is a full house for Caprice these days. 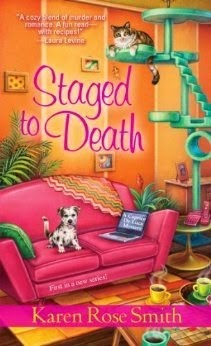 She's dating, she's rescuing adorable cocker spaniels, and she's decorating the roomy interiors of Kismet's most well-heeled residents with fun fantasy themes. But she's worried about her pregnant sister. Bella's marriage is coming apart like a bad wallpaper job, and to make matters worse, she's decided to meet up with a former flame Bob Preston, a house painter Caprice frequently employs. When he's found dead in a pool of green paint swirling with blood, it's time for Caprice to stage an investigation. With all eyes trained on Bella's husband, Caprice shifts her attention from finding the perfect curtains to finding the perfect culprit. . . This is the second book in the Caprice De Luca series in this one she is stagging houses again and her sister Bella soon finds a dead body and it is up to Caprice to clear both her sister Bella and her husband Joe. The two seems to be having a bad time lately and Caprice can't imagine either one of them committing the crime. I enjoyed this book learning more about the residents in Kismet and delving more into Caprice's relationship with Dr. Seth. 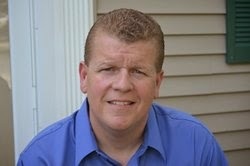 I also enjoyed learning more about Grant the lawyer that works with Vince Caprice's brother. Which I will be doing a book tour with in February can't wait to share this book with everyone! Gianna Mancini has chatted with ghosts most of her life. It's never affected her much. Until now. The latest ghost in Gianna's family-centric, boy-complicated, job-depleted world is Emma Tinsdale, a woman Gianna despises. Wanting Emma out of her apartment and her orbit, Gianna chooses to help her move on, but she doesn't expect to come across poisonous jam, a vengeful cop, or a group of friendly clowns. When a relative is framed for Emma's death, Gianna must dig deeper and faster to find out what really happened that fatal night on the beach. With help from her sister, her cop brother, and her ex-boyfriend, Julian, she gets close to figuring out the truth. But when the killer closes in, Gianna better watch her step unless she wants to become the latest member of the dearly departed. 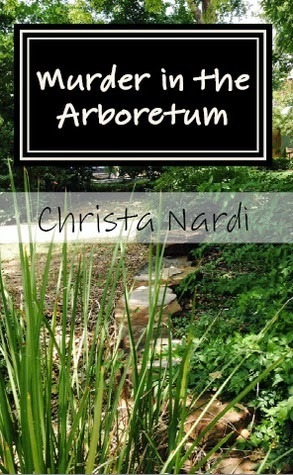 This book follows the story of Gianna whose moving on with her life now that she has moved back to town leaving behind her boyfriend Jullian. Her sister Izzie's having her own issues with her husband and has moved out taking residency at her parents house. While Izzie and Gianna as having a night out they stumble into both ex's Gianna's at the first bar they stop at and Izzie's at the second bar being serviced by a clown. It's not long into the book before two ghosts show up to Gianna whose trying to get her life in order and has to now deal with two ghosts one a college age man who seems to be waiiting for someone the other is the clown from the night at the bars and Gianna finds herself helping Emma aka Cupcake the Clown to find out what happened the night she died. This book I was great I loved the family dynamics along with the ghost issues I was drawn in and didn't even notice i read it in one day it was that good. If you haven't checked this series out you really should it's totally worth reading! I have one copy of this book to giveaway to a lucky follower. This contest is open to USA residents only. To enter just comment below with your email address and I will pick a winner at random! Caprice DeLuca stages houses for high-end clients. When she discovers a body in the castle-mansion she staged to sell and starts asking questions, she finds herself in danger. On the way to solving the murder, Caprice's large Italian family helps and hinders. She also finds romance with Dr. Seth Randolph. But does her brother's partner, attorney Grant Weatherford, care about her, too? Or is he just worried she'll get herself killed and her family will blame him? This is a new series where Caprice DeLuca does house staging for clients who want to sell their house. When her friend Roz's husband winds up dead it's up to Caprice to find out who really had an axe to grind with Roz's husband. Of course it doesn't help that Ted's Roz husband was having an affair and had an obsession with daggers. Who had the most to gain by his death? His wife? His mistress? Or someone through his company? After leaving a decade ago, Angie has been called back to Harbor Haven by her grandmother, Charlotte, who raised her following her mother’s disappearance when she was a child. Her mother has been found, and now the question of her whereabouts has sadly become the mystery of her murder. This book begins with Angie Curtis being called back to Maine when her grandmother Charlotte tells her that her mother has been found. 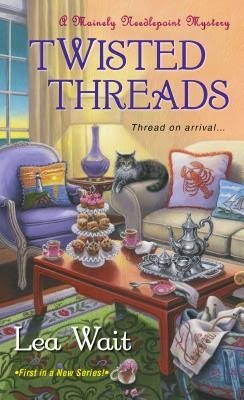 Angie heads back to Maine to help bury her mother, while there she finds herself helping her grandmother when she is being scammed by someone who offered to help with her business Mainely Needlepointers. Also while there Angie figures she will try to find the motive into her mothers murder. If nothing more than to satisfy the small child who lost a mother as a child. 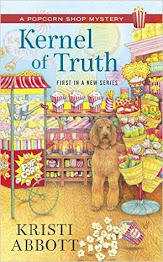 This book was great new series that offers a different kind of relationship a daughter and Grandmother connected by Jenny the daughter/mother who disappeared so many years ago. This book shows that sometimes you can come home and that your fate is written in the stars. That going home isn't always as bad as you think it is. I loved the characters and relationships they have that Angie was able to reconnect with some friends Chem and Cindy who she has grown up with and finds she can reconnect with them. I can't wait to see what Lea Wait comes up with next! What would it take to convince you that the woods you just left is a hundred and forty-four years distant from the one you entered? Ten years have passed since the Civil War broke up John Bartley’s family. Living with his aunt and uncle in the tiny village of Greendale, Vermont, isn’t filled with excitement for a seventeen-year-old. John Bartley finds himself in 2009 when he passes a tree and winds up at Tess McKinnon's house unsure of how to get home or how he got there. Tess is not quick to believe John's story and tests his history to find out how much it is true. When she is unable to shake the feeling that John needs her help she does what she can to help him. This book was great and reminds me like various other time traveling books, where characters need help to return to their time frame. I enjoyed the story and learning about Tess and John and the various details of their history. The follow-up short story to Emerald Barnes' Entertaining Angels, Before We Say I Do, is now available! If you loved Chase and Mads in Entertaining Angels, you'll love this! Chase Sanders and Madison Andrews are about to declare their love for one another in the most sacred of ways. Everything has been going perfectly, especially when an old friend returns to town to stand by Chase’s side on their big day. But is Zach there to see their union, or is he concealing the truth of why he’s actually back in town? Chase has lived perfectly fine without his father around, but now that his father is divorcing again, he is seeking forgiveness. Chase can’t look at his father, let alone forgive him. The day had finally come. I was marrying my best friend. Tears of joy stung my eyes, but I tried to hold them in. I couldn’t cry. Not now. Mom and Mandy would kill me if I messed up my makeup. I stared in the mirror. I had come a long way in the two years since I’d met Zach. We graduated high school, and I was now working on a degree in counseling. I’d fallen head-over-heels in love with my best friend, and I learned to love myself for who I really was. I won’t lie. It hasn’t been easy for me. Sometimes I would look in the mirror, and I’d see the fat girl from high school. Other times, Chase would wrap his arms around my waist and reassure me that he loved every inch of me – whether I was big or small. It didn’t matter to him. I was beautiful. When he’d say that, I’d remind myself that God had loved me enough to send his angel just to show me that I was important, loved, and beautiful. Eventually, the way I saw myself began to change. I no longer compared myself to photo-shopped pictures of models in magazines or my friends who were smaller sizes than me, and I began to look at myself as a daughter of the King. God formed me. He knew exactly what I would look like, and as He’d told me before, He only makes beautiful things. She wrapped her arms around me and pulled me close. I could hear her sniffle, but I fought the tears back again. I wasn’t going to cry. Not now at least. She pulled away and smiled at me before wiping away her own tears. I had always felt like Mrs. Cheryl was a second mom. And now, she would be! I nodded, and Mom left the room. “Can you help me sit?” I asked Mrs. Cheryl. She walked over to me and helped lift my train, so I could sit comfortably without wrinkling the dress too much. The beaded bodice felt a little tight, but I wanted to look my best. I wasn’t loosening it at all. “You look gorgeous,” Mrs. Cheryl said, pulling her phone out of her purse and snapping a picture of me. “Thank you,” I said, smiling at my future mother-in-law. “Are you nervous?” she asked, taking a seat beside me. I laughed, praying that what I’d just spoken wouldn’t come true at all. I don’t suppose it mattered. I was about to be joined with Chase forever in our very own happily ever after. I knew not all marriages were perfect, and I didn’t expect ours to be any different. I did hope that we would have a beautiful marriage as close to perfect as possible. I knew that if we put God first, we could get through anything; however, the wedding night was what really made me nervous. I just didn’t want to tell Cheryl that. Chase and I had waited until marriage. It was what was right to do according to the Bible. We wanted to be each other’s firsts and each other’s lasts. At least we were both new at it. I wondered if that was why he was nervous, too. I mean, I certainly understood that. “Is that all?” she asked, staring at me knowingly. I briefly wondered what all Chase might have told her. This might be awkward. I didn’t even talk to my own mom about stuff like this. I felt the blood rushing to my cheeks, and I was thankful for the pink blush already coloring them. I shook my head, biting the inside of my cheek. I wasn’t going to cry now. “No,” I said, “I’ll never forget what he’s done. Zach’s here too.” I added on that last bit to distract her from the conversation she seemed wanted to have. Her smile faded at the mention of him. She rarely brought him up, but I couldn’t blame her for that. He’d left her for another woman and ignored them for the first seven years he’d been away. He’d only just started talking to Chase again two years ago. Even Chase didn’t want to tell his dad about our union, so we kept it a secret from him. I didn’t know if that would work or not, but Chase really didn’t want him ruining the day. I wasn’t going to force him to invite his father to our wedding, though. It was entirely his decision. “We didn’t invite him, you know,” I said. I didn’t know what else to say. I hated that Chase had such a rocky relationship with his dad. I couldn’t imagine not having Dad around, but then again, Dad didn’t cheat on Mom and have a new family while ignoring me completely for the first few years of his new life. I looked at Mrs. Cheryl and gave her a big smile. She stood and extended her hand out to me. I wrapped my arms around her in a tight hug after she helped pull me off of the chair I sat in. She kissed my cheek, and we walked out of the room and into the sanctuary where we were about to take pictures. It was now a little over two hours before I officially became Mrs. Chase Sanders. Enter to win one of five digital copies of Before We Say I Do!! Where can you buy Before We Say I Do? And, in honor of Before We Say I Do's release, Entertaining Angels, the first book in the series is $0.99!! Emerald Barnes resides in a small town in Mississippi and has the accent to prove it. 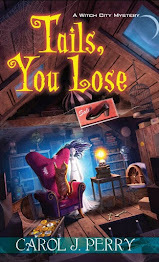 She tries her hardest to write novels that appeal not only to young adults but to those who are young at heart as well. She mainly writes suspense/thrillers in the YA genre, but she dabbles in other genres and her books are enjoyed by all ages! She’s constantly working on new novels and has more ideas than she knows what to do with. She’s also a volunteer at the World Literary Cafe which is amazing, and she is a crazy grammar nazi who proofreads novels! When she isn’t writing or proofreading novels, she’s spending all of her time with her nieces and nephews. She’s a self-proclaimed nerd, avid reader, and TV watcher. God is number One in her life, and she thanks Him continuously for His love and favor. It’s springtime in Savannah, the azaleas and magnolias are in bloom, and Reagan Summerside’s consignment shop, the Prissy Fox, is bustling with customers out to enjoy the beautiful weather. On a day like today, what could go wrong? As a mortician beautician and housekeeper, Mercedes is no stranger to corpses or messy bathrooms. But the last thing she expects to find in a client’s bathtub is a dead body! Now she’s a murder suspect and it seems like her life is going down the drain. She turns to local lawyer Walker Boone to get her out of hot water. But Walker has his own surprising connections to the dead man in the tub, and now he needs Reagan’s help to clear his own name—and keep him alive. In this book it's told from Walker Boone's point of view anyone who is anyone knows that Walker Boone is the lawyer that helped Reagan's ex-husband when he divorced Reagan and again in the first book when Reagan's ex was on the chopping block for a crime he didn't commit. 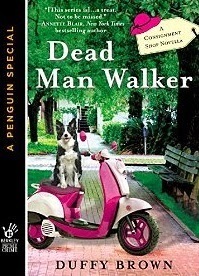 This book starts off right away with a murder having been committed and Walker being at the scene of the crime along with Mercedes a mortician/housekeeper who seems to be on the hook for the murder mind you Reagan isn't far behind in this book she wants to consign some furniture she was suppose to consign prior to his death. Somebody is determined to silence Walker and he has to have Reagan help keep him alive and figure out who killed the victim Conway Adkins. Will he find out before he meets his own demise? Such a good book and I loved every bit of it and can't wait to see what happens next. Ms. Brown needs to get back at it so we can find out who the killer is and what happened with Boone!! I love visiting this southern community they are so great and I always find myself wanting to go back there more and more frequently! Brandi Haas is no domestic goddess . . . but she’ll tell you that motherhood is probably the hardest gig in the universe: “The pay is horrible, the wardrobe is pathetic, and your boss (although utterly adorable) is usually a tyrant." Brandi brings her trademark wit from the popular blog to this new collection, sharing stories of birthday party mayhem, mommy martyrdom, and snow shoveling majesty. The setting is Anytown, USA, among barking dogs, picket fences, and eclectic neighbors. 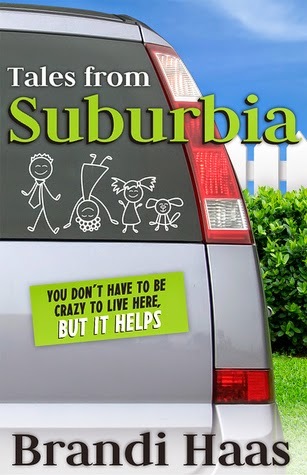 Tales from Suburbia: You Don’t Have to Be Crazy to Live Here, but It Helps will make you laugh, warm your heart, and let you know you’re not alone. Mothers (and fathers) will recognize themselves, their children, and the absurd situations that family life brings to us all. Brandi Haas has really hit on something that I think every mom who use to work goes through how neurotic we can be as stay at home moms, and how silly we can be when dealing with things. This book is so funny at times. 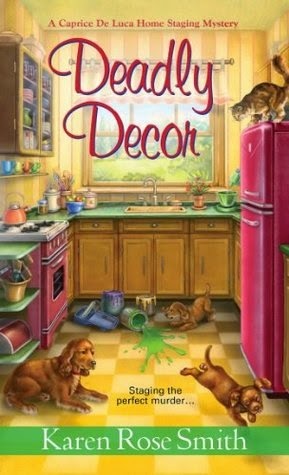 This setting for this book is so true it could talk place any where it deals with different situations from being a Head Mom at school, There all also various discussions on mom groups, Target field trips, good old Chuck E. Cheese's, and also deals with things like fundraisers, Girl Scouts. I loved this book it was great and refreshing to read about Brandi's antics. Definitely worth checking out and keeping on hand for many years to come. I think all Mom's and Dad's should get this book and read all about it and see how much of it they find themselves doing. Can't wait to see what Brandi comes up next! So glad she was able to share her book with us! Another murder in small town Cold Creek has tensions rising. Clive Johnson, the groundskeeper at Cold Creek College, is a convenient scapegoat for a police chief who seeks an easy solution. Convinced Chief Pfeiffe has it all wrong, professor and psychologist Sheridan Hendley sets out to help prove Clive’s innocence. But not everyone is pleased by her enthusiastic search for the truth. Just as her life is looking up personally, it looks like she might be the next victim. This is the second book in the Cold Creek series in this book a body is found dead and Sheridan is called over to help people who are suffering from shock and her boyfriend Brett is called in to investigate the crime. It's not long before the reader finds out murder is going on at the college. Who had the most to gain from this murder? Will Sheridan and Brett figure it out before the murderer strikes again? This is a great mystery that kept me guessing as to who the murderer was and I really enjoyed that. I also enjoyed the aspect of Sheridan being a professor and psychologist which you don't see in many mystery books. I also enjoyed the friendship between Sheridan and Kim. Their friendship works well together. As well as being friends and co-workers. I think many cozy readers will love this series can't wait to see what Ms. Nardi comes up with next in the Cold Creek series! They met at the worst possible moment...or maybe it was just in time. David McClain was about to go to war and Lindsey Wood was there at his going-away party, capturing his heart when falling for a woman was the last thing on his mind. While David was serving his country, he stayed in close contact with Lindsey. But war changes a person, and when he came home very little had the same meaning that it had before – including the romance that had sustained him. Was love truly unconquerable, or would it prove to be just another battlefield casualty? 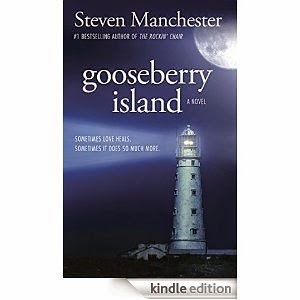 Gooseberry Island is the most nuanced, dramatic, and romantic novel yet from a writer whose ability to plumb the depths of human emotion knows few peers. There was movement three hundred yards out on the street below. Unusual, David thought. It was a teenage boy, maybe fourteen, carrying a burlap bag and hurrying home before dark. Never seen him before, David thought. It only took a few seconds, but the whole scene played out in sequence in his mind—both men yelling and slapping the boy as he screamed for help; the slaps turning to a vicious beating until finally the boy was dead. He could almost hear Command say “Negative” again after he asked if he could intervene. He felt the anguish in his soul threatening to overwhelm him, but it was quickly replaced by a burning rage. His eyes filled with tears, David returned to the present and started for the man in a mad rush. He was three steps from the shocked stranger when reality clicked in. It’s the boy’s father, he realized. He’s…he’s okay. David’s body convulsed. He’d forgotten he was home, and the reality of it slapped him hard in the face. The man pulled the teenage boy close to him; both of them were frightened by David’s sudden charge toward them. “Sorry,” David said, though it sounded more like “Sigh.” Trying unsuccessfully to smile at them, he turned on his heels and hurried back to the Mustang. For the next hour, David sat alone in his car, trying to calm the physical effects of his anxiety. Once he’d reined that in, he spent another two hours beating back the depression that always followed in anxiety’s wake. His wasn’t sure whether the abyss existed within his heart or mind, but he knew that he was now filled with a great void—nothingness. There was no light there, only darkness. There was no hope, only despair. In time, he’d learned to embrace the silence, as the screams and whimpers of faceless victims became echoes that returned again and again, pushing the line of madness. Yet, the solitude was relentless, enveloping, merciless. It would have been better had I never existed, he thought, fearing another moment more than cashing in and leaving it all behind. No love, he thought, no peace. His memories were slanted in such thick negativity that his entire past would have been better off erased. And no one knows I’m dying inside, he thought, inviting another wave of panic attacks to crash onto the shore of his weary mind. He closed his eyes tightly and tried to calm the short labored gasps. Just ride the wave, he told himself. Just ride the wave. But in another room in his mind, he knew that even if he rode that wave—and didn’t crack his skull on all the rocks beneath him—he’d have to take the ride again and again. It didn’t take long before the jagged rocks seemed like the more merciful option. Enough time had passed for Lindsey to realize David was not coming after her. He’s obviously in a lot of pain, she thought, and doesn’t want to burden anyone with it. She shook her head. But I care way too much about him to let him go through this alone. With Craig’s permission, she slammed David’s front door behind her and marched through the living room into the kitchen. “Don’t you dare play the coward with me, David McClain,” she shouted before even reaching the room. He looked at her with tormented eyes but didn’t say a word. “But you can’t, can you?” she said, her entire insides starting to tremble. “Don’t you dare feed me that tired line! I spent a year praying for you…writing letters and wishing for us to…” She stopped, trying in vain to contain her emotions. His face looked panicked, as his mind obviously spiraled out of control to gather the right words. “I don’t have the words,” he said in less than a whisper. “After the first time I came here, I thought for sure you’d chase after me,” she said. “I’m not stupid, David. I realize something happened over there that has you all twisted up. But I also thought that once you saw my face, you’d…” She stopped again and began to cry. “Okay,” she said, her tears threatening to flood her face. He took a few deep breaths. “I've given this a lot of thought, and I want you to know that I've never lied to you…and I don't plan to now.” He shook his head. “I’m so messed up right now, Lindsey, I can’t even explain it.” He could barely hold eye contact with her. “I really hope we can be together someday…more than you can ever imagine. But I’m just not ready yet. I…I need to heal,” he stuttered. She took a deep breath and held it. “You guess?” She returned his shrug to him, perturbed. He nodded, tears streaming down his face. Lindsey took a deep breath and surrendered. “David, I’ve told you the way that I feel for you and what I want for us. That’s all I can do. The rest is in your hands.” She peered into his dull eyes. “I can only hope that you’ll think of me every day, as I will you. I hope a lot of things, David.” She paused to collect herself. “Most of all, I hope the day will come when Afghanistan is behind you and we can fall in love all over again and catch up on all the things we’ve missed.” Mimicking him, she shrugged. “Maybe you’re right. I guess time will tell.” She pulled her hand away from his and felt her heart rip clean out of her chest. “Until then, you’ll be in my thoughts,” she whispered. “I’m so sorry, Lindsey,” he sobbed, his shoulders rocking. “I love you, David,” she said and, with one final attempt, grabbed his chin and forced eye contact between them. “Now tell me you don’t want to see me and I’ll leave you alone,” she whispered. As he looked at her, Lindsey could clearly see the anguish in his eyes. “You can’t, can you?” she said, hopefully. His tears continued to leak down his cheeks. “I don’t want to see you…for now,” he said, and turned his eyes away from hers. It felt as though someone had just slugged her in the gut. “Okay,” she gasped and ran out of the house crying harder than she’d ever cried before. Day turned into dusk and, like most nights, just beyond the sobs and sniffles the world turned quiet and black. After four or five weeks of self-imposed solitary confinement—a punishment filled with death-defying panic attacks and long, treacherous tunnels of depression—David decided to reach out to the men he had served with. They’re the only ones who can relate, he thought. And I wonder how they’re doing…really doing?